A federal task force on legalized recreational marijuana is recommending storefront and mail-order sales to Canadians 18 years and older, with personal growing limits of four plants per person. The framework report, headed by former federal Liberal cabinet minister Anne McLellan, says recreational marijuana should not be sold in the same location as alcohol or tobacco, and that production should be monitored with a "seed-to-sale tracking system" to prevent diversions to the black market. The study gives shape to a Liberal promise to the legalize recreational pot consumption and sales, with safeguards in place to restrict youth access and choke off the illicit market that fuels criminal enterprises. "People need to understand that the single largest users of cannabis products today in Canada are that group of people between 18 and 25," McLellan told BNN Tuesday afternoon. "If, in fact, we continued to criminalize – in essence – that large cohort of people where would those people go?" "They are buying illegally now. If we continued that, they would continue to buy in the black market and part of our objective and the government’s objective in this report is to get illicit criminal organizations out of this marketplace," she added. WEIGH IN: Are you tempted to invest in pot stocks? 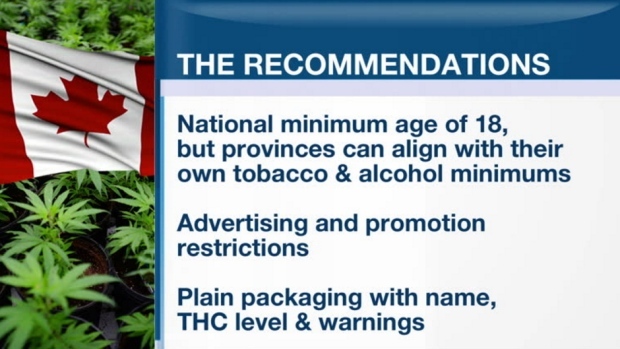 The 106-page report covers everything from advertising and branding -- effectively banned, similar to tobacco -- to penalties for illicit production and trafficking, all legislated under a proposed new Cannabis Control Act. The report contains more than 80 recommendations. "We are moving from a prohibitory regime: A situation in which cannabis has been illegal for decades," McLellan explained to BNN. "As we move through to legalization and regulation, a new legal product on the market, surveillance is going to be key. Research is going to be key ... Monitoring, figuring out what’s happening and then actually getting that information back to people that can use it to then calibrate this regulatory regime in ways that we hope meet both the government’s public health and public safety objectives." Part of the goal of the research is to determine what type of market legalization may create. "You’re going to have novel users, people in that age group and in other age groups who choose to use as a novelty," McLellan told BNN. 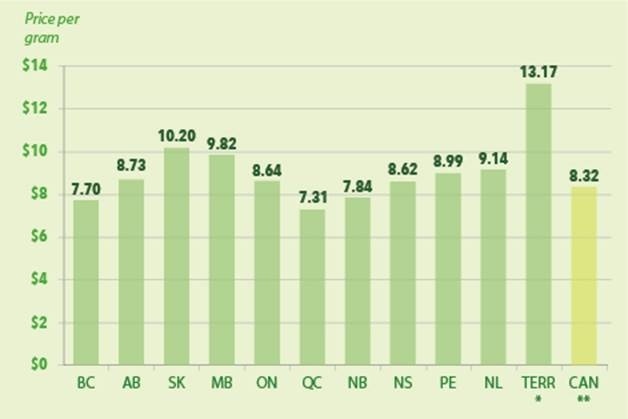 "But, it will be interesting as part of the monitoring to see: One, if there is a spike after legalization in any age group and then, how quickly – if at all - that spike comes down and what is that telling us." "That is part of the surveillance and monitoring that we need to do." 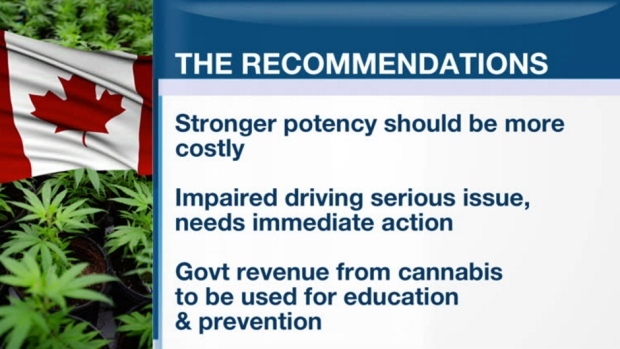 On the issue of pot-impaired driving, the task force recommends more study to determine the links between THC levels and traffic crashes while simultaneously developing a national education strategy to stress that cannabis consumption causes impairment. McLellan said the report recommends a "public-health approach to minimize harm," as well as actions "to educate Canadians ... to increase awareness and knowledge" about cannabis and its impacts. Marijuana stock euphoria: Should you join the wild ride? The task force also recommends government support to develop an appropriate roadside drug screening device. “We are pleased to receive the report from the Task Force on Cannabis Legalization and Regulation," the Government of Canada said in a release Tuesday. "We would like to take this opportunity to sincerely thank the Honourable Anne McLellan and Dr. Mark Ware for their passionate and thoughtful leadership on this complex issue. We also wish to thank all of the members of the Task Force for generously dedicating their time and energy, and for all of their hard work over the last five months. We echo the Task Force’s appreciation for the interest and enthusiasm shown by Canadians in this process. There will be several opportunities to consult Canadians as the government proceeds to legalize, and strictly regulate, cannabis." It recommends that higher-potency pot be taxed at a higher rate than weaker strains, while limiting personal possession to no more than 30 grams and allowing for what the report calls "social sharing." Edible pot products must not be "appealing to children" and cannot mimic familiar food items or be packaged to look like candy -- an oft-cited concern with the fast-growing edibles market in U.S. jurisdictions where legalized recreational cannabis sales are already in place. Under the framework proposals, dedicated, alcohol-free cannabis lounges and "tasting rooms" would be allowed, but rules would limit the density of cannabis storefront operations and keep them away from schools, community centres and public parks. Wholesale distribution and retail operations of cannabis should be regulated by provincial and territorial governments, in close collaboration with municipalities, the report says. 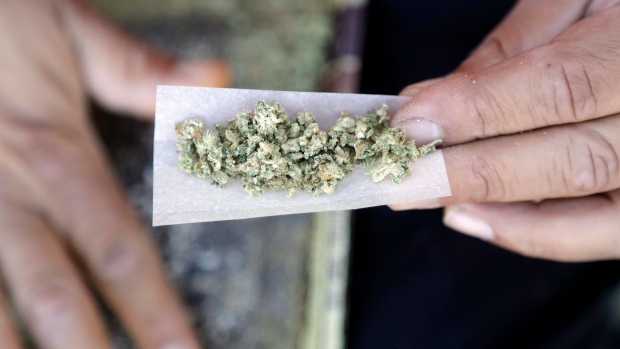 The task force said it is taking a public health approach to marijuana regulation, while stressing that "Canada's governments will need to move swiftly to increase or create capacity in many areas relating to the production and sales of cannabis...."
"We believe that Canada is well positioned to undertake the complex task of legalizing and regulating cannabis carefully and safely."